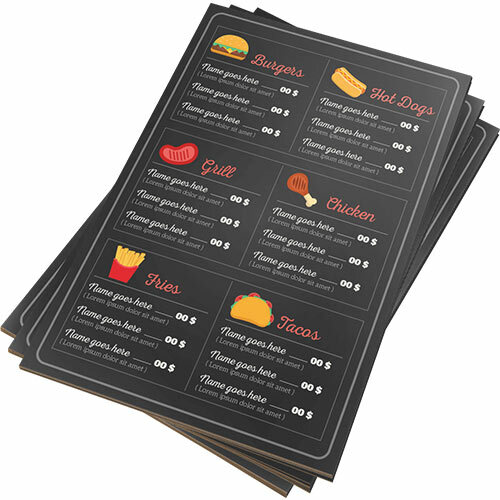 Do your tasty treats justice with Helloprint's Unfolded Menus! 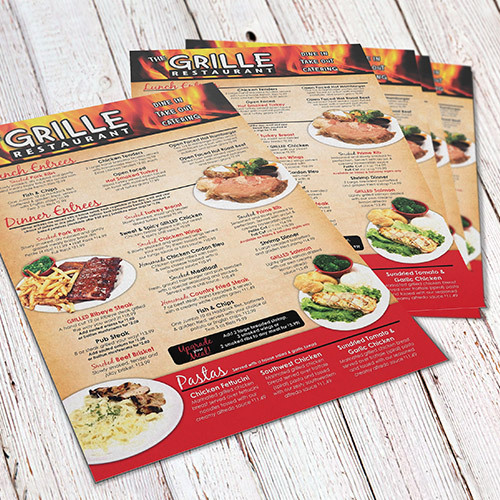 Print all your belly grumbling deals and meals on high quality stock that is sure to create the right atmosphere for your restaurant. Give customers a well-rounded and professional experience that'll have them coming back (with their friends too)! Single sided printingOnly the front side will be printed. The reverse side will be left blank Double sided printingLimited offer: Free double sided printing on all Flyers! 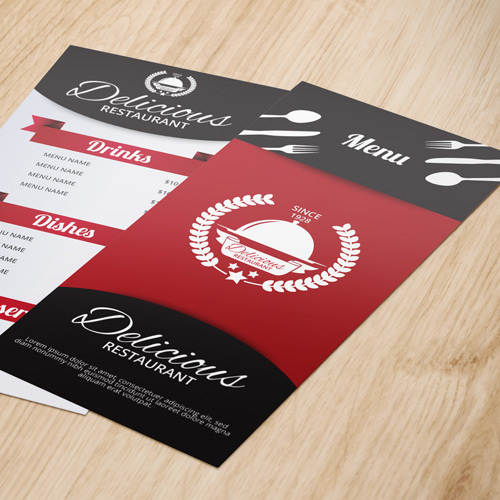 Please choose a type of paper for your menucards. We have listed the 2 most popular paper types for you! Please choose a paper finish for your flyer. We have listed the finishings for you! 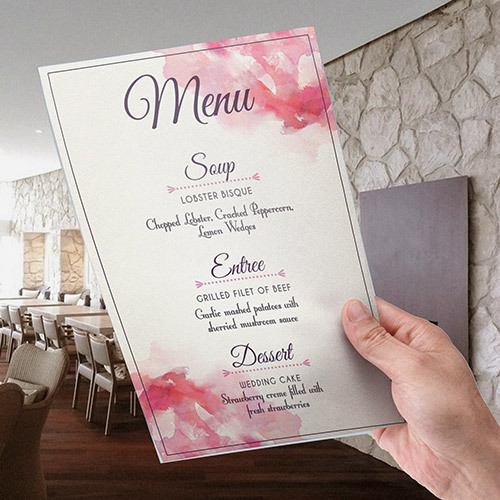 A menu card is a paper card to display menu's, completely adjustable to your design and wishes and available in various sizes and types of paper. For the delivery of your unfolded menus we use multiple carriers. Because of the highest reliability, in most cases we use UPS or DPD. The unfolded menus that is chosen in most cases can be selected via our website. Will my menu cards be plasticized? No, your menu cards will not be plasticized. If you want this option, please request a quotation. 250gsm silk mc: This paper has a thick body and luxe feel. The paper is 0,23 mm thick en has a mat or glossy finish. 400gr silk MC + gloss laminate: With this material your product looks and feels very solid and professional, plus it has a high gloss finish. Thickness: 0,41mm. 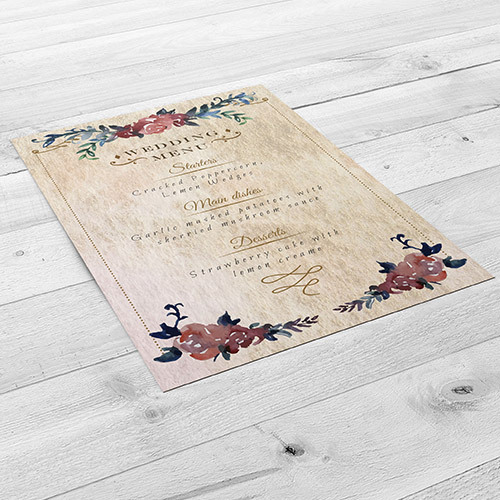 Will my menu cards be printed on both sides? Yes, menu cards are printed on both sides in full colour.